The starting linebacker for the Houston Texans, Brian Cushing, will be suspended without pay for 10 games for use of performance-enhancing drugs. The Houston Texans have always had a consistent defense and had one of the best in the NFL last season. It was led by their starting middle linebacker, Brian Cushing. In Week 1, that defense took a bit of a hit with injuries, even though J.J. Watt made his return to the field. Now with more injuries piling up ahead of their Week 2 Thursday night matchup against the Cincinnati Bengals, the Texans get hit with a suspension. Per ESPN’s Adam Schefter, the NFL is suspending Cushing for 10 games. He will be suspended for the use of PEDs. Texans LB Brian Cushing suspended without pay for team’s next 10 games for violating NFL policy on performance enhancing substances. As Schefter adds in another tweet, Cushing is eligible to return on Tuesday, Nov. 28, after the Texans play the Ravens. Cushing has been a huge part of the Texans’ defense since he was drafted there back in 2009. In his nine seasons with the team, Cushing has racked up over 652 tackles, 13 sacks, nine forced fumbles and eight interceptions. The leadership and play will be missed on the field, but his presence in the locker room as well. In his absence, the Texans will turn the linebacking over to a few rookies. They have Vanderbilt’s Zach Cunningham and Dylan Cole to step in for Cushing in his 10-game absence, which will start this week. 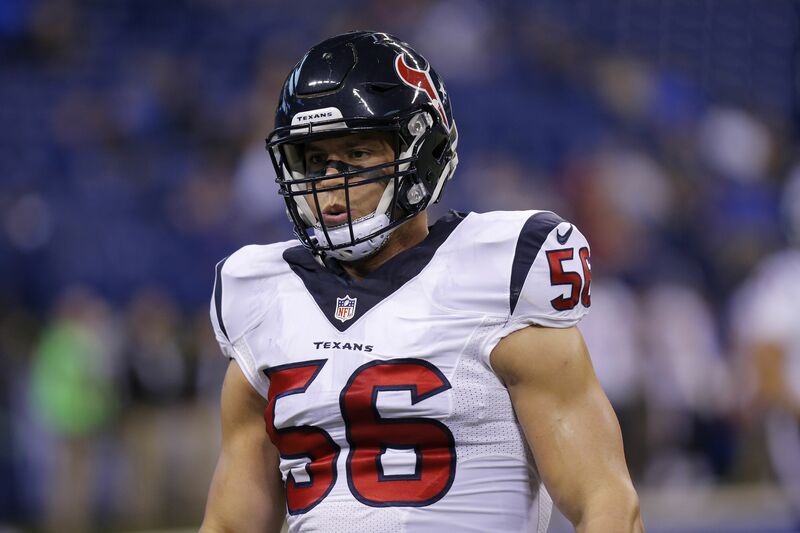 Cushing was diagnosed with a concussion during Week 1 and was doubtful to play this week anyways. Defensive coordinator Mike Vrabel — a former linebacker himself — will have a short week to try and prepare these young guys for the Bengals. More young players on the flip side of the ball too, with QB Deshaun Watson getting the nod to start over Tom Savage. Texans will look to rebound from their Week 1 loss, but it will be a challenge with a lot of their key players missing.